Apple’s monster developers conference yesterday featured a parade of software announcements, Apple employees excitedly discussing their “big” karaoke potluck, and Drake. 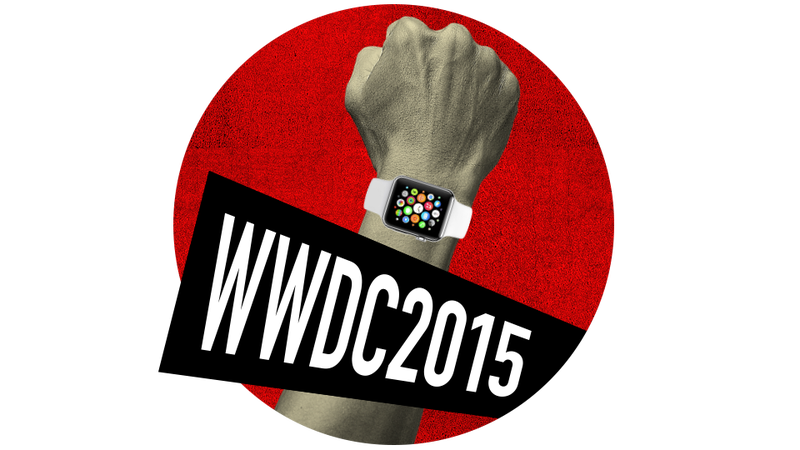 We obsessively liveblogged the whole event, but these are the keynote highlights below. iOS 9 is here. But what we saw on stage at Apple’s World Wide Developer Conference was more than just a yearly update to Apple’s mobile OS. It’s a glimpse at how Apple’s operating systems are being unified as it builds out new devices and platforms. iOS has never mattered more. Apple has announced their new OS X: El Capitan. Yes, El Capitan is that famous mountain in Yosemite National Park. The best features? New smarter Spotlight and the (elegant) new way they manage full screen apps now—taking a page (read: lifting) from Microsoft’s Windows user experience. We’ve been waiting forever for Apple Music: A real streaming music product straight from the heart of Cupertino. Will it work? Or is this just the latest crap. At last, Apple introduced multitasking apps on iOS 9 for iPad, which means you can work with more than one application at once. This is a godsend for iPad users. Get ready to pay with your iPhone at the flea market, because the company just announced a mobile Apple Pay reader built by Square. Apple also announced a whole host of new big box stores that will accept Apple Pay. And to top it all off: Passbook is now called Wallet. Apple is so hellbent on dominating the streaming music game, it’s doing something I never thought I’d see: Bringing its first app ever to Android. Starting this fall, Apple’s new Beats-fueled streaming music service will be available on Android phones. Apple Music is the first native Apple app to bust out of Apple’s walled garden. Slowly but surely, Apple is been threatening to creep into the smart home market. The company just took one more small step by announcing that it’s HomeKit software will give you access to connected home devices from anywhere in the world by using iCloud. And the software will finally work on a whole bunch of products. It’s the day we’ve all been waiting for—well, those of us who prefer not to drive. Apple finally acknowledges that a huge portion of its audience rides buses and subways by adding transit directions to Maps. Let’s hope they actually work.